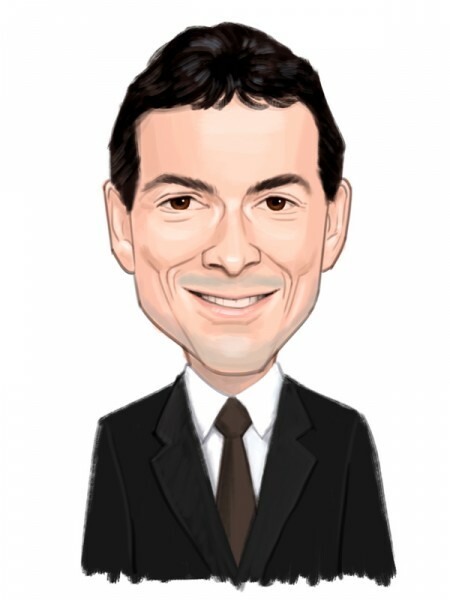 In its latest letter to investors covering the third quarter, David Einhorn‘s Greenlight Capital said that its funds lost around 14.3% between July and September, which puts their year-to-date return at a negative 17.1%. In both third quarter and year-to-date terms the fund significantly underperformed the S&P 500. The top holdings of Greenlight’s funds included stakes in Apple Inc. (NASDAQ:AAPL), CONSOL Energy Inc. (NYSE:CNX), General Motors Company (NYSE:GM), gold stocks, and Resona Holdings. In this article, we will take a closer look at some of the tech stocks that Greenlight highlighted in its letter and see how they affected the fund’s performance during the third quarter, as well as assess the investor’s opinion regarding their future growth. Aside from the first part, we also suggest you take a look at the second article and the third article that cover some more of Einhorn’s long and short bets. Among the losers in Greenlight’s portfolio, Sunedison Inc (NYSE:SUNE) is one of the unfortunate leaders, as its stock slid by some 75% during the third quarter. Mr. Einhorn has been advocating his bullish thesis on the stock for nearly two years. Despite the stock’s terrible performance, Einhorn is still bullish on Sunedison Inc (NYSE:SUNE) and held 24.84 million shares at the end of June. The investor believes that the company has good long-term potential since it manages to obtain an average return on capital of 10% in developed markets and 13% in emerging markets by selling solar and wind projects to “highly creditworthy counterparties”. The spin-off of TerraForm Power Inc (NASDAQ:TERP), its related yield vehicle that buys projects in developed markets and distributes the income to shareholders was well received, while its emerging markets vehicle, TerraForm Global Inc (NASDAQ:GLBL), was received much worse by the stock market, according to the investor. “We believed that TERP and GLBL would not be impacted, as neither is subject to commodity risk. We were wrong. Because the SUNE yield vehicles were relatively new to investors, the market did not distinguish them from other energy dividend flow-through structures. In mid-July, TERP began falling along with the rest of the sector, taking SUNE with it. GLBL IPO’d at a big discount a week later and traded poorly in the aftermarket. At the same time, Einhorn praised Sunedison Inc (NYSE:SUNE)’s response to a worsening environment by raising additional equity, slowing its development pipeline and identifying third parties to buy its projects. The investor stated that even though these moves decreased SunEdison’s value, they still managed to stabilize the situation. Overall, Einhorn and his team believe that SunEdison can reach earnings of $1.34 per share next year, assuming that TerraForm Power and Terraform Global “do not regain access to the capital markets”. Another stock that put a lot of downward pressure on Greenlight’s returns during the third quarter was Micron Technology, Inc. (NASDAQ:MU), in which the fund reported holding a stake containing 37.95 million shares as of June 30. While Micron’s stock has lost over 52% since the beginning of the year, the investor still managed to make some money on the back of the gains earned last year. However, Greenlight’s thesis regarding the profitability of Micron Technology’s main product, DRAM, on the back of the consolidation in the industry, was somehow dismissed as the demand for DRAM fell. In addition, Greenlight’s expectations regarding the recovery of the memory recovery NAND market also “failed to materialize”. Overall, Micron Technology, Inc. (NASDAQ:MU) is currently on track to deliver earnings below the investor’s expectations and will remain at low levels until the markets re-balance. Read on to see what Greenlight said about two of its other tech picks, namely Apple and Lam Research Corporation. In addition, we will take a look at the fund’s closed short position in Intel Corporation.